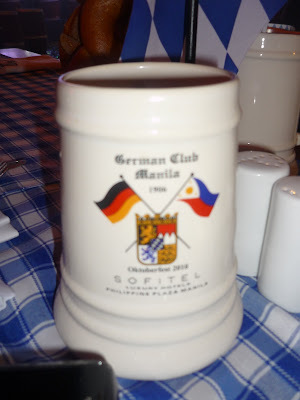 Our boss is a German and is a member of The German Club in Manila. 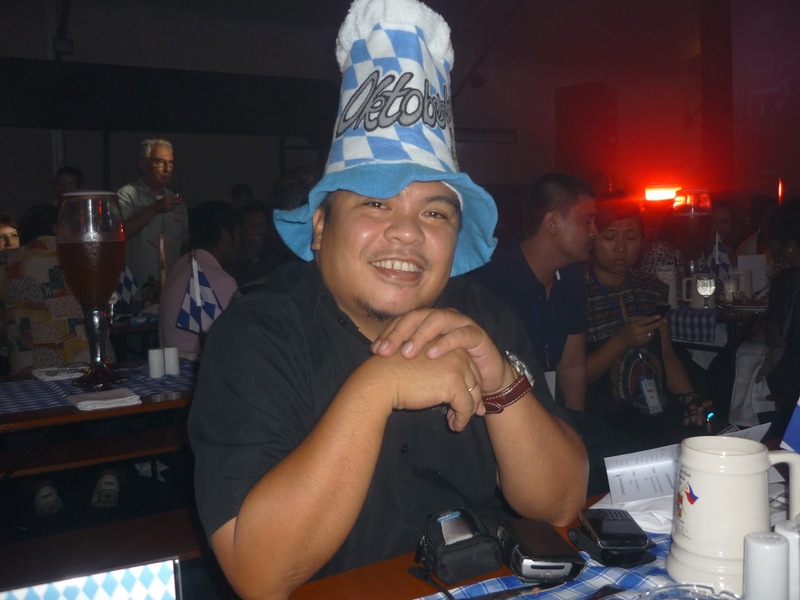 So for events like, Octoberfest, we are always present. 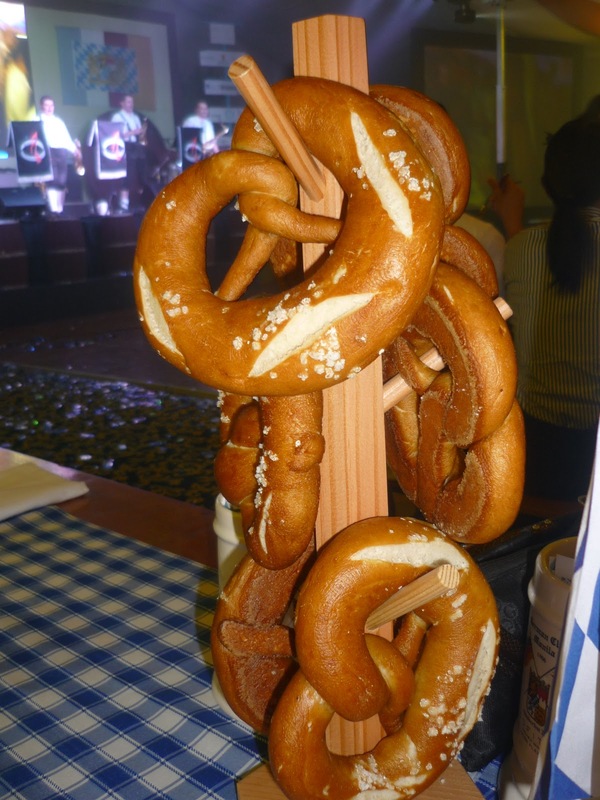 This year we bought 7 tickets at Php 2,500 each. For this year, Uncle C and I went to Korea for some business dealings. 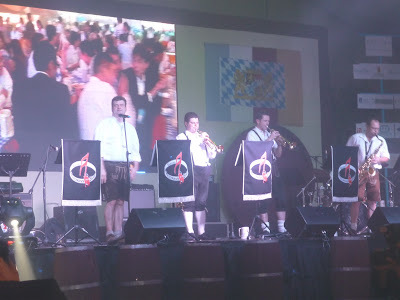 We were supposed to be back a day before our scheduled feast, but because of slight problem with our shipment, we postponed it for a day and so we were not able to attend the Octoberfest this year. But hubby and the rest of the office girls were of course present! Our tickets were just given to our valued customer. The place was decorated in classic white and blue Bavarian colors and adorned with authentic Octoberfest tables and benches. 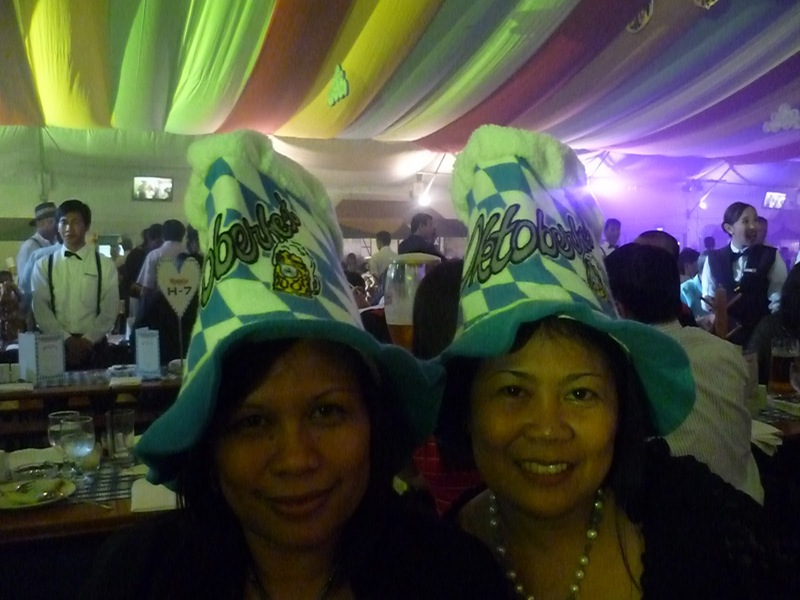 Its truly like a Munich Octoberfest ambiance! Food served were of course a typical German food like the roasted pork knuckles, laugen rolls, grilled sausages and various pastries with the over flowing beer. For all participants, you'll go home with this huge mug. A world class Oomptah band from Germany, the Guenther Friedmann band kept the guest singing, dancing and swaying the whole time.